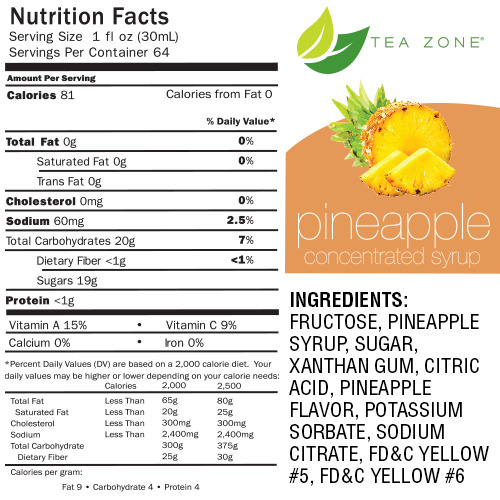 Pineapple bubble tea syrup used to make Pineapple boba tea smoothies, Pineapple boba slushies, Pineapple flavored green / black teas. Are you a big fan of tropical flavors? Tropical fruits are absolutely tasty and make great sweet treats and refreshing beverages. 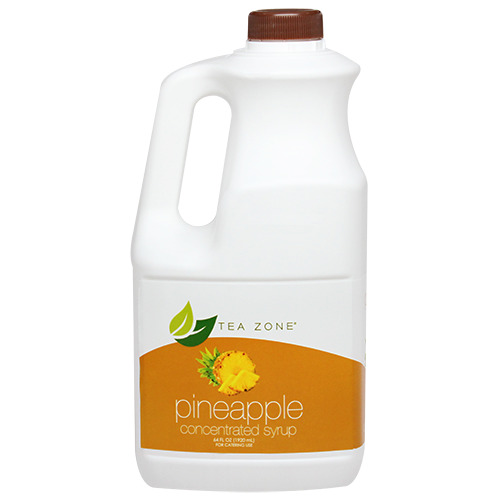 Impress your family and friends with deliciously tropical beverages while using our Pineapple Syrup. With its new and improved flavor, this syrup ensures that you get real pineapple taste with every sip. Create a delicious virgin pina colada by blending this syrup with some ice, water and coconut cream and top it off with some whipped cream. Like this item? Try our Plum Bubble Tea Syrup!